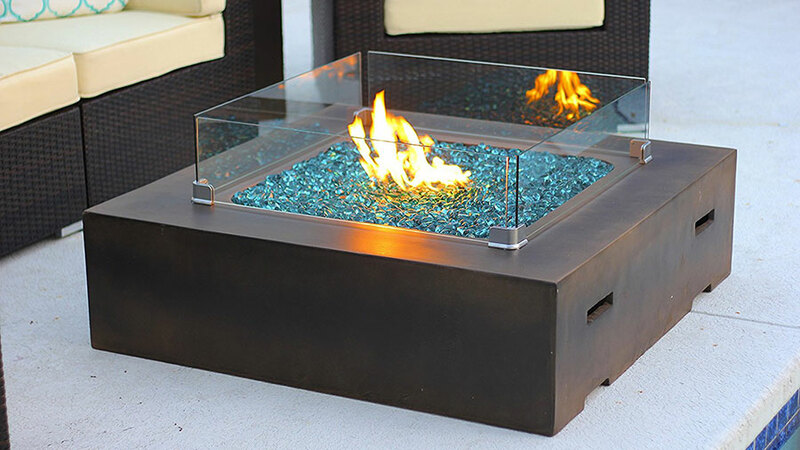 This concrete propane fire pit table has a modern design and comes in many colors. The table measures 42 inches by 42 inches, which is 3.5 by 3.5 feet. This is an expensive gift idea, but it is one that the recipient will surely get a lot of compliments on. 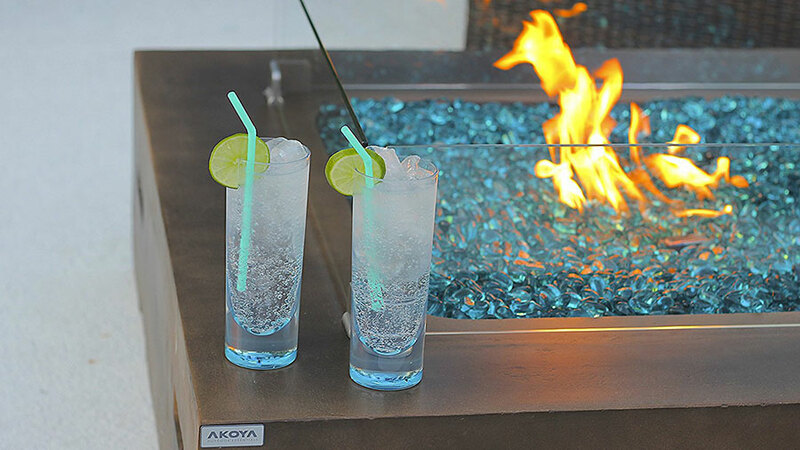 This concrete fire pit table comes with a class guard and fire reflective crystals. The table burns liquid propane and is rated up to 50,000 BTUs of heat. On the low setting you can expect to get about 28 hours of burn time on the lowest setting or 10 hours on the highest with standard 20 lb tank. The table is casted from a lightweight concrete. The table itself weights about 88 pounds, but after the glass guard and fire crystals are installed it does weigh over 100 pounds. It is light enough to be moved by 2 people, but still heavy enough so that you don’t have to worry about high winds if you have the table outside. AKOYA Outdoor Essentials is the company that sells this table. If you have questions, comments, want to read customer reviews on amazon, or just want to see other similar designs just hit the link at the top of the page.